We are your premier private investigator agency dedicated to finding the truth. Our investigative firm is comprised of expert licensed investigators that have years of proven investigative experience. Our agency is dedicated to ensuring that your investigation is given the attention it deserves. 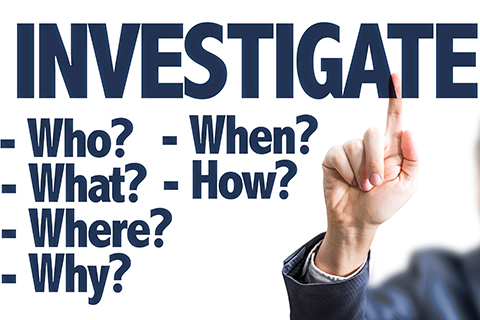 We handle all investigations in a timely and professional manner. At Sirko & Associates we truly care about your needs. At Sirko & Associates, our staff is committed to your case and will approach is with a sense of urgency as we work diligently to achieve the results that will address your concerns. Call us today to discuss your investigation and how we can be of assistance. Sirko & Associates provides security for those who require discreet and confidential counter-surveillance solutions. We are a provider of Technical Surveillance Counter-Measures (TSCM), Bug Sweeps and Counter Surveillance to detect and eradicate electronic eavesdropping devices or “Bugs.” We utilize modern, state-of-the-art equipment to conduct sweeps to identify various types of audio and video interception devices.